Jazz singer Marcus Goldhaber is starting a weekly Thursday Night happy hour @ The Night Hotel in midtown this week. This new weekly event will feature Marcus’ intimate jazz performance and an exclusive cocktail menu designed just for his crowd. The Night Hotel is an exercise of Modern Gothic Gotham, filled with black & white décor, and nestled secretly in behind the Midtown Mayhem, making this a great place to serve as your after-work ‘go to’ locale on Thursday evenings now through July 2nd, 2009. 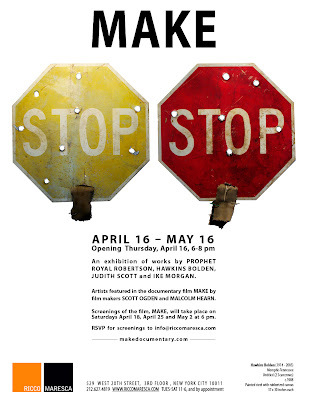 This Thursday (April 30) is opening night: 6pm-9pm. Housing Works Thrift Shops is opening a new location at 130 Crosby St in Soho! Join on Saturday, April 25 for an all-day Grand Opening party from 10am to 7pm. The party will feature a DJ, refreshments from The Works Catering, Housing Works T-shirts (with purchase), as well as dozens of the clothing and furniture finds for which Housing Works Thrift Shops are famous. The Soho Thrift Shop is already accepting housewares and clothing donations at Housing Works’ popular Housing Works Bookstore Café next door at 126 Crosby St. Donations are the backbone of Housing Works Thrift Shops, so all New Yorkers are strongly encouraged to donate items at any location. 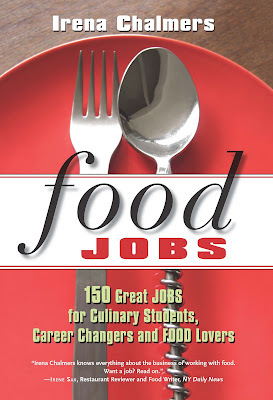 On Wednesday, 4.22 Irena Chalmers will be reading from her book Food Jobs: 150 Great Jobs for Culinary Students, Career Changers and Food Lovers. With tips and insight, the book discusses scores of culinary careers and how to snag them. The highly knowledgeable and witty Irena Chalmers touches on every food industry job imaginable and gives her two cents on the best profession and personality matches. Many career profiles also include contributions from notable foodies like Alice Waters, Danny Meyer, and Anthony Bourdain. If you wish to traverse the culinary career path, Food Jobs will help put you ahead of the pack. Celebrate the coming of summer with Ralph Lauren Black Label. Shop the summer collection with the assistance of Ralph Lauren representatives and receive a gift of appreciation with your purchase of 500.00 or more. You will enjoy summer refreshments while you shop. When: 4.22, 4pm to 7pm. The same evening, join in for a night of Friends and Family with Karen Bussen at the Registry. The advantages of registering at Bloomingdale's go on and on. There will be an offering 20% off on everything you didn't receive from your registry. Complete your china setting. Add a few missing crystal goblets. And do it all for 20% less! Plus, celebrate the launch of Simple Stunning Parties at Home book with a personal appearance by author Karen Bussen. With hors d'oeuvres from Tastings NYC and Prosecco by Lunetta. Please reply to 212.705.3340. When: 4.22, 5.30 pm to 8pm. If you plan an event in the near (or long term) future but you have no idea of how to get started or organize it, the Table Planner comes to your rescue. This London-based company, will offer you a "thematic" table setting, providing unusual and quirky designs ( how about the London Underground setting for example or even better Musicals? ), matching stationery (from invitations to menu's copies) and also picking the venue. So, if you don't know what your tables would look like for your event, let The Table Planner choose for you. You never know where you will end up sitting. Maybe at Tokyo or at Beckham's T-shirt. 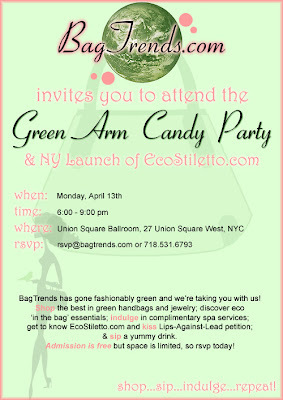 You're invited to the first annual BagTrends Green Arm Candy Party, April 13th 6-9pm at the Union Sq. Ballroom. RSVP at rsvp@bagtrends.com. The renovated Varvatos Soho store was buzzing last night when it opened its doors for an evening of style and special cocktails. Guests had the chance to meet Varvatos in person, try on his new collection, taste mouthwatering canapes while sipping on Balvenie scotch cocktails. A fun, delightful Thursday evening. Take a look! The Artist Space launches this Thursday, 4.9, its Spring Exhibitions with an opening reception at 7pm. Let's hope that the Campari (that generously is sponsoring) cocktails will be there too! Visit Artists Space at 38, Greene street, Soho, NYC. PAPER Magazine and H&M celebrate this year's inductees to the PAPER Beautiful People bunch with a live performance by Katy Perry and DJ Cassidy. When: Thursday, April 9, 8 p.m.
Once again, my favorite gallery has an opening reception for Frank Olt, Selected Works. Please visit and mingle with like-minded art fans. When: 4.2, from 6pm to 8pm.